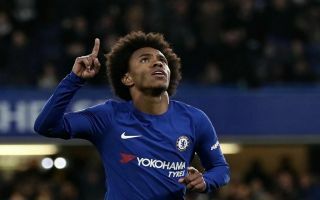 Chelsea midfielder Willian claims the club have not sat down to discuss his future despite the fact he is approaching the final year of his contract. According to The Sun, Manchester United and Barcelona have registered interest in the Brazilian over the past year, having been impressed by his recent performances at Stamford Bridge. Willian joined Chelsea in 2013 from Anzhi Makhachkala and he has since managed to win two Premier League titles and the FA Cup. He remains a vital part of the Blues squad under current boss Maurizio Sarri, with over 40 appearances across all competitions to his name throughout the 2018-19 campaign. However, the 30-year-old is still awaiting a fresh contract offer from the club and in a surprising new revelation, he insists that Chelsea have not yet let him know if they want to retain his services beyond next year. “I have one year left, but of course I want to play for this club,” Willian began – as per The Sun. The Brazil international may have opened the door for Man United and Barca to swoop for his signature in the summer window with his latest comments, but Chelsea’s current transfer situation may hinder any possible deal. The Blues have been hit with a transfer window which is set to prevent them from signing any new players until 2020, meaning they may have to keep hold of their current crop of players in order to stay competitive at the top of the Premier League. 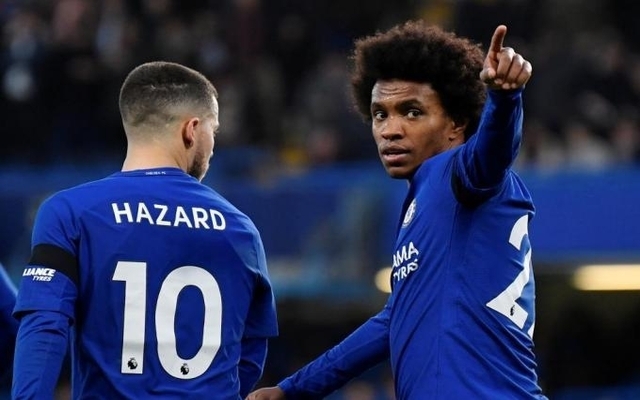 That being said, if Willian feels that he has no future at Stamford Bridge there is every possibility he could force through a move at the end of the season, particularly given the fact it could be the last chance Chelsea have to cash in on the playmaker.